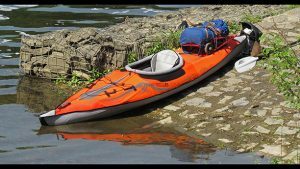 ADVANCED ELEMENTS offers with its AdvancedFrame a family of kayaks, that are good-tempered and easy to handle – and robust enough to spend some restful hours on the water or to manage rivers up to class-II-whitewaters. 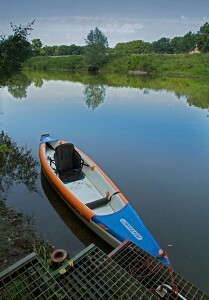 AdvancedFrame with backbone as robust as usual and common kayaks! 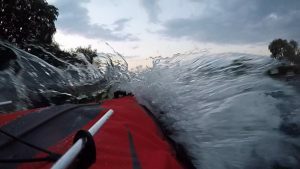 The so called Backbone is not the secret but the key to inflatable kayaks that are as strong and as robust as conventional boats. The AdvancedFrame is the name for the aluminium ribs in the bow and in the stern. These aluminium ribs are the way to model the boat up to a kayak that slices the water like a common boat. The backbone, however, connects the bow and the stern with a solid and unbending aluminium pipe, that keeps a constant keel from bow to stern. 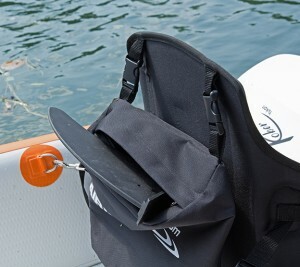 At the same thime you have an inflatable kayak with all it’s advantages, a boat offers that is made to be folded and cased in a bag. 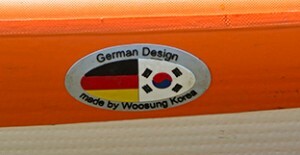 It is not a light weigthed ladies handbag – but in comparison with a common boat an inflatable kayak can be transported easily and unlimited. Do 9 minutes of your life be too expensive? Follow me to Youtube. 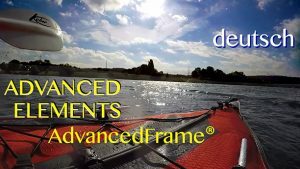 Watch my video an see why an AdvancedFrame is a boat for simply everyone: whether you are highly experienced in kayaking or you are a bluddy newcomer on the water. See why the AdvancedFrame is a real advantage – and, however, why only by upgrading with the backbone these kayaks become superior boats. 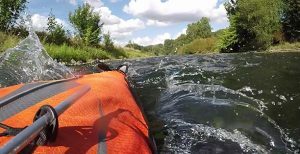 AND see my video to enjoy some impressions from kayaking. Have a little break – have a little video. And take along an important tip for anyone, using his ADVANCED ELEMENTS AdvancedFrame with a backbone. Follow the link to California, if you want to know more about Advanced Elements and their boats – or where to buy their boats. 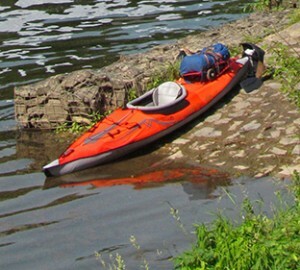 AdvancedFrame® is your advanced kayaking!